Whether it's for your child or someone else's, we have a wonderful range of baby toys that will provide hours of entertainment and educational development for all babies. 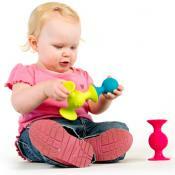 We boast several top brand toys for babies including Oball, Teddykompaniet and Ambi Toys. 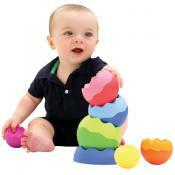 Our carefully selected range of baby toys are designed to last and make for great gifts.